It does not matter if you have a car, a truck, a van, or an SUV, they are all finely tuned machines. In order to keep them running properly, they require regular vehicle maintenance, repairs from time-to-time, and just regular day-to-day upkeep. Here’s another vehicle tip to help you keep your car running on the road, and not broken down on the side of the road. Avoid the hose hassle. A ruptured hose is a one way ticket to sitting on the side of the road, waiting for help to arrive. 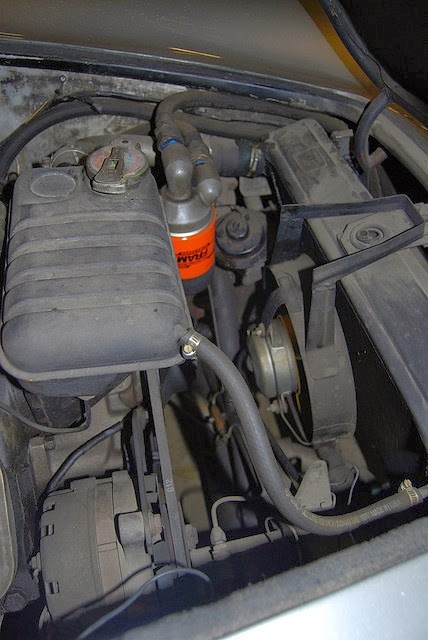 The hoses under your hood help get vital fluid flowing to vital components under your hood. The hose most prone to disaster is your radiator hose. In order to help avoid any problems on the road, make sure to check your hoses at least once a month. To check your hoses, first make sure your vehicle is off and your engine is cool. Then, give every hose a squeeze. If a hose is hard, makes a crunching sound, or is extra soft and sticky, then make sure the hose gets replaced. If you need help, then stop by your local Jiffy Lube of Indiana location. Our certified technicians will inspect your radiator hoses as part of the Jiffy Lube Radiator Antifreeze/Coolant Service.